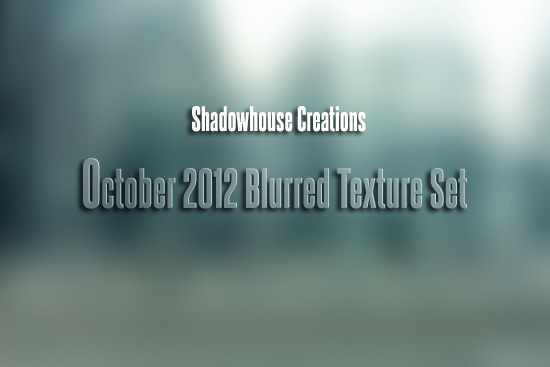 October 2012 Blurred Texture Set contains twenty softly blurred, assorted and unique textures. The intent is to give a soft and faint textured and tinted effect. Thanks so much, Jerry. You are so generous with your creative talents. Get better - be blessed! Thanks, Jerry! These look wonderful! We really appreciate your hard work, your textures are amazing. How beautiful these are, I'm glad you are creating again! Hey Jerry! These are wonderful. Just wanted to let you know I posted a tutorial using these (with links to your wonderful textures) on my blog, http://www.polishedpicture.com/before-and-afters/before-and-after-creating-dreamy-light-with-textures/. Thanks a million! Oh, thank you so much for this! I just read a tutorial from Polished Picture, and I am anxious to try this. Very generous of you. You are very talented!